From the Gaelic "glen lus" which not surprisingly means Glen of the Lossie! 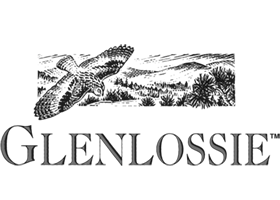 Glenlossie is not open to visitors. 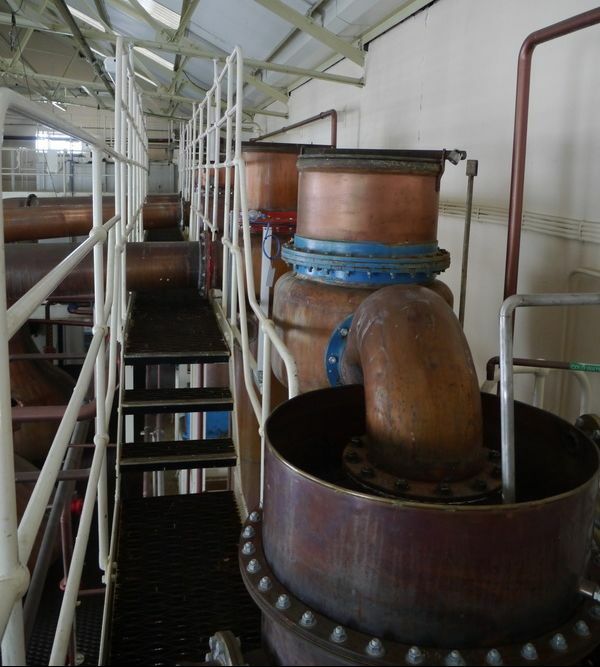 I was able to get access to the distillery as part of a special tour during the Spirit of Speyside Festival. John Duff had owned the Fife Arms Inn at Lhanbryde and managed Glendronach, when he went into a partnership to build Glenlossie - he took the leading role in designing the new distillery and managing it. This proved to be his most successful venture, though in 1888 he emigrated to South Africa and unsuccessfully tried to establish a distillery there; similar story when he went to the USA. 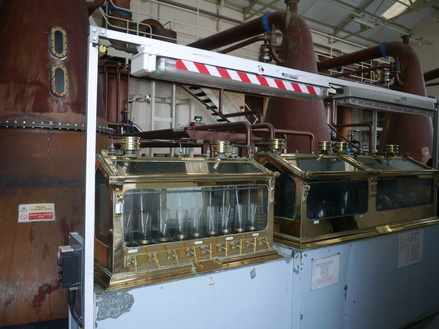 On returning to Scotland he managed the Bon Accord Distillery in Aberdeen, but by 1894 wanted his own distillery again, and with two of his Glenlossie partners founded Longmorn, and then Benriach, before going bankrupt after the Pattison scandal lead to a severe depression in the whisky industry. Despite being over a mile away from the railway, a siding, known as the Glenlossie Railway, was built to the distillery, crossing the Elgin to Rothes road (now the A941), just by the road to Longmorn Distillery. This line appears to have survived until the Elgin to Craigellachie line closed in 1968. 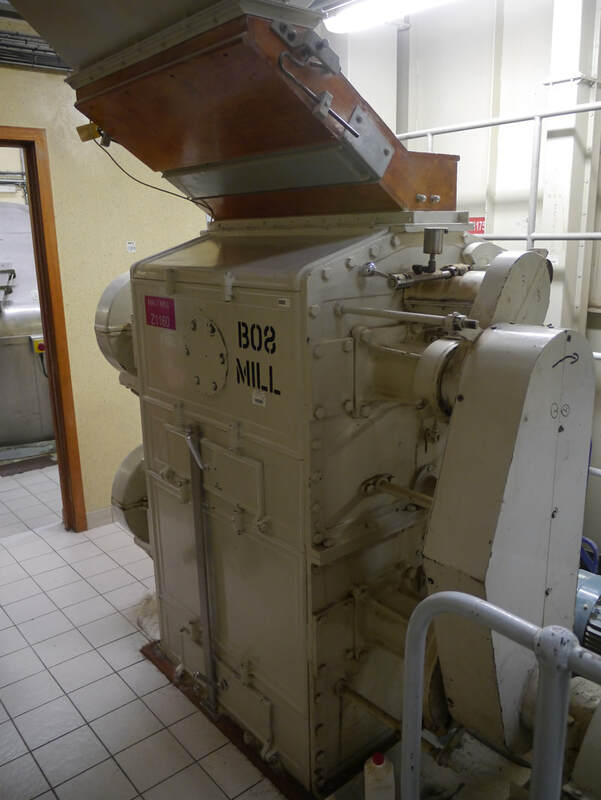 After Duff's departure, the distillery was run by the weirdly-initialled HMS MacKay and John Hopkins, whose company also ran Tobermory distillery. WWI and its aftermath also had a severe effect on the industry, and Distillers Company Limited (DCL), and its subsidiary Scottish Malt Distillers (SMD) bought up a lot of distilleries, many of which were closed down. 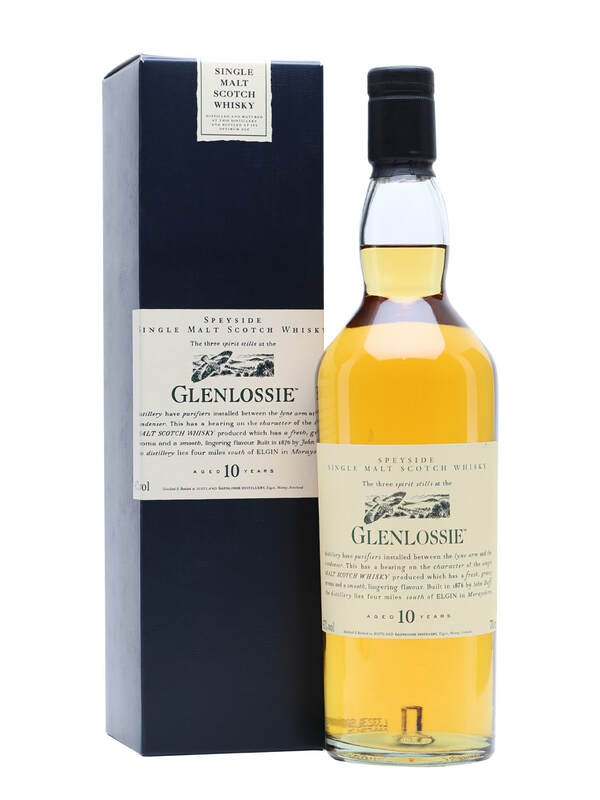 Glenlossie was acquired in 1919, but it was a highly sought after blending malt, so it had a secure future. It had to be rebuilt, however, after a severe fire in 1929. An extra two stills were added in 1962 which brought the total from 4 to 6. 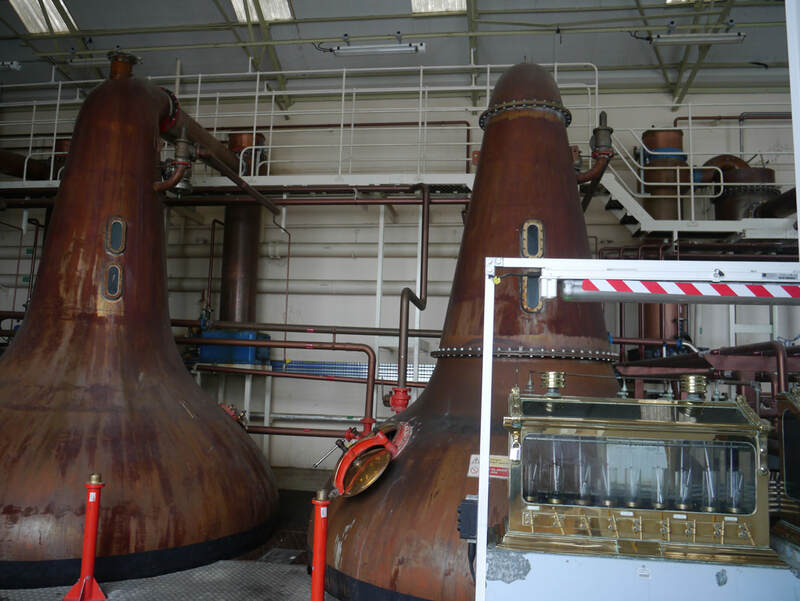 However, the sources listed below that I have consulted; whisky shops with potted histories of the distillery; and Misako Udo do not detail when the number was increased from two to four. Barnard records just two, as would have been expected for new distilleries in those days, the increase is likely to have taken place in one of the rebuilds - 1896 or 1929. 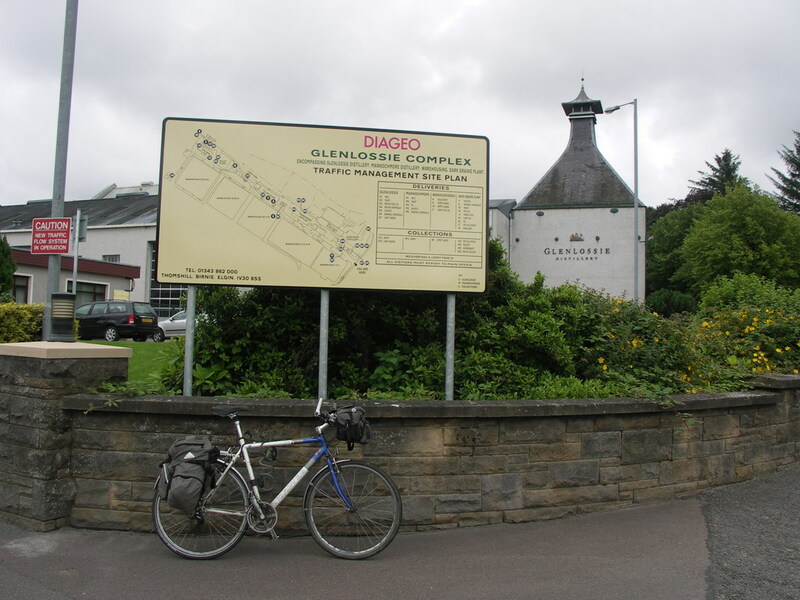 DCL/SMD has evolved into Diageo, but not before Mannochmore distillery was built on the same site. 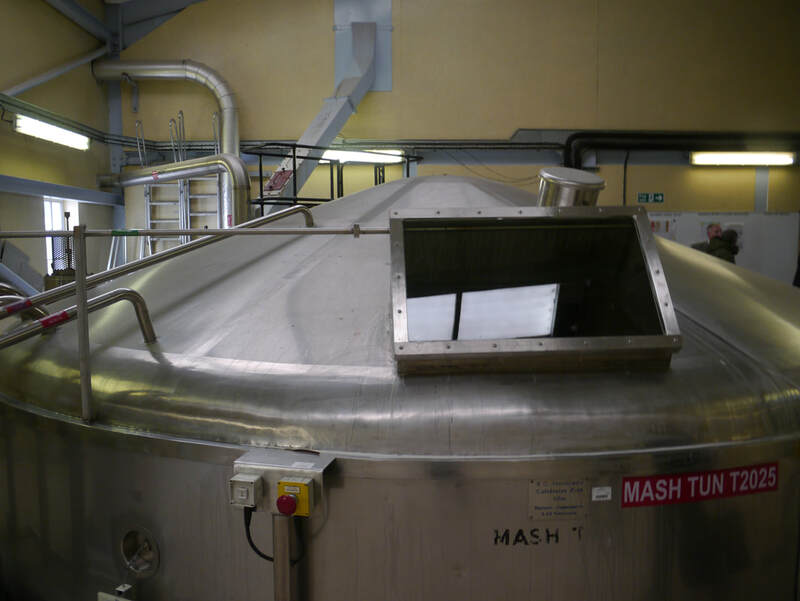 A dark grains plant, and a bio energy plant, to produce energy from draff, have also been added to the substantial site, which also includes a large warehouse complex, housing stock from other Diageo distilleries. ​Nearest station is Elgin (ELG) (3 miles) Live Train Times. 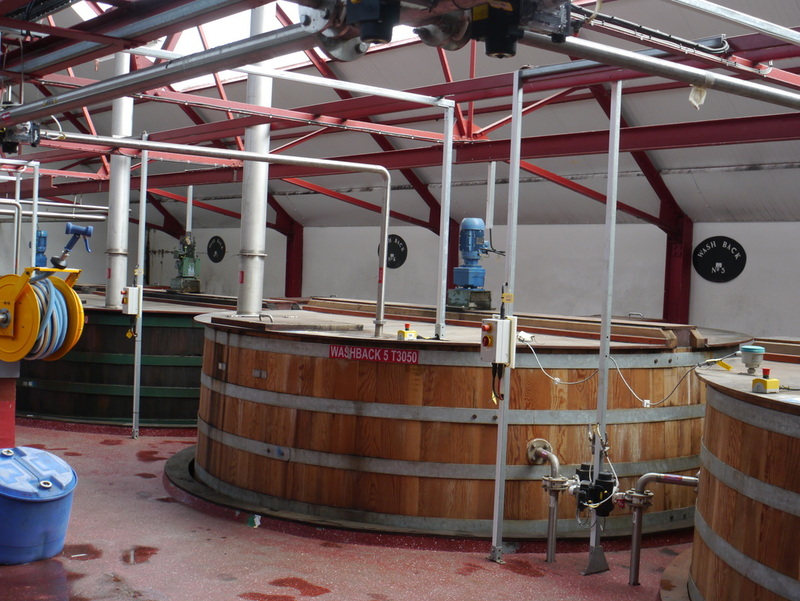 Glenlossie Distillery is near the village of Thomshill about 3 miles south west of Elgin between the A941 and B9010. Independent bottlings are not too common. Photos on this page were taken by me. Click on photo to enlarge. 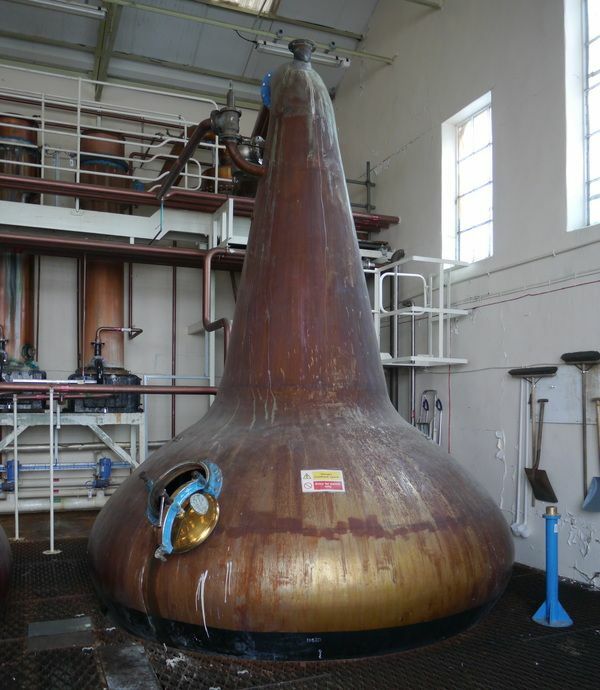 Full size versions of all my photos of Glenlossie Distillery are available on Flickr.